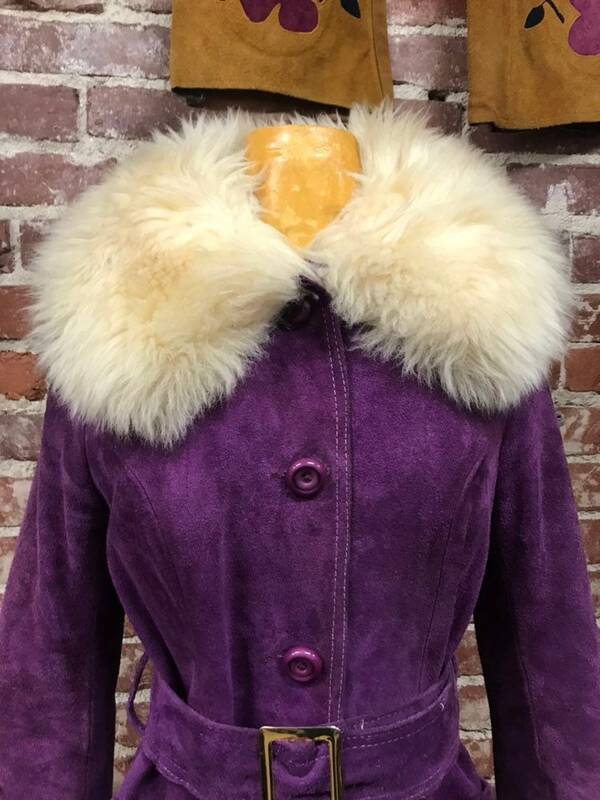 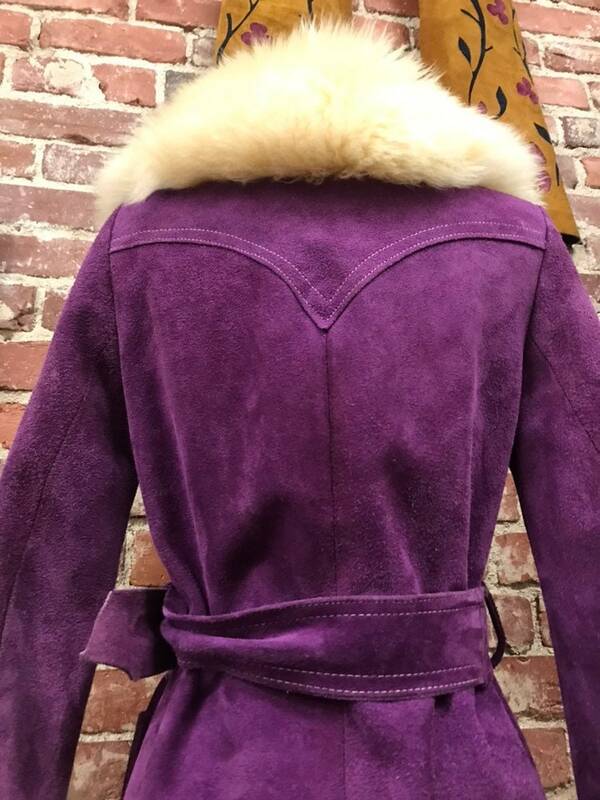 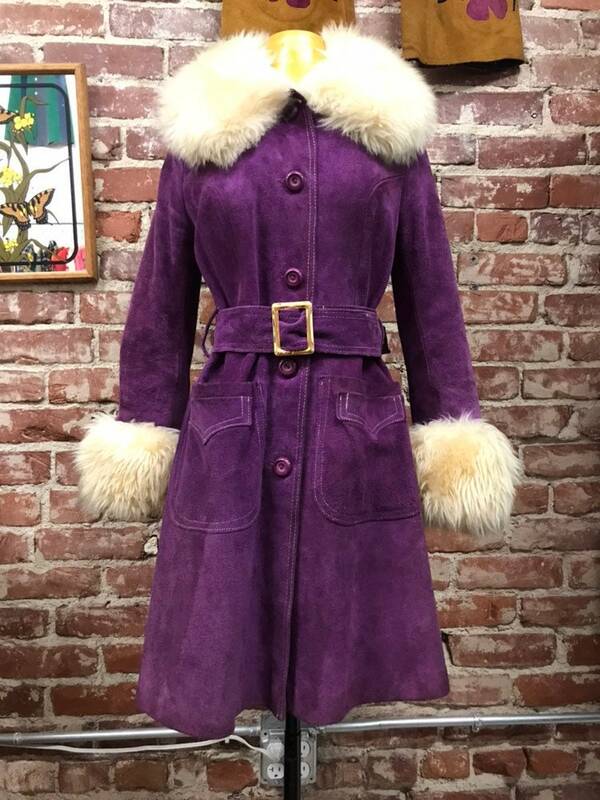 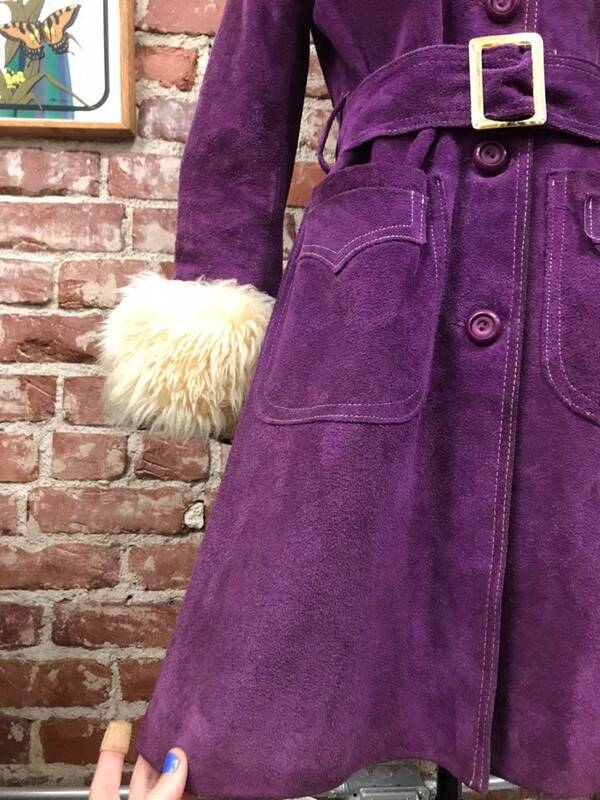 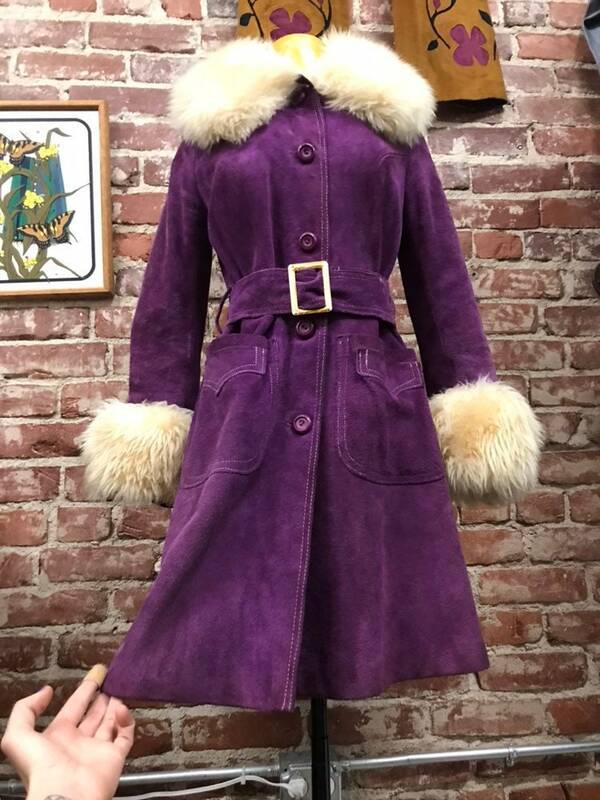 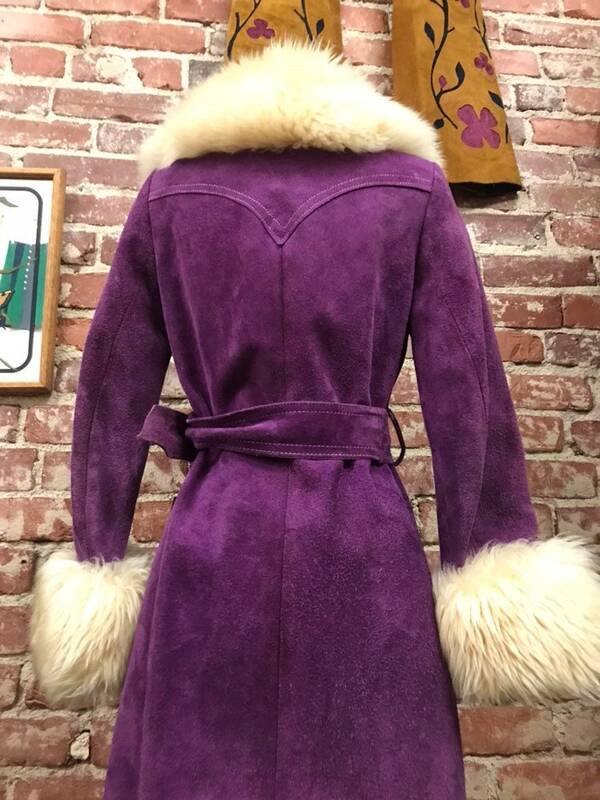 Beautiful and violet purple suede and shearling coat. 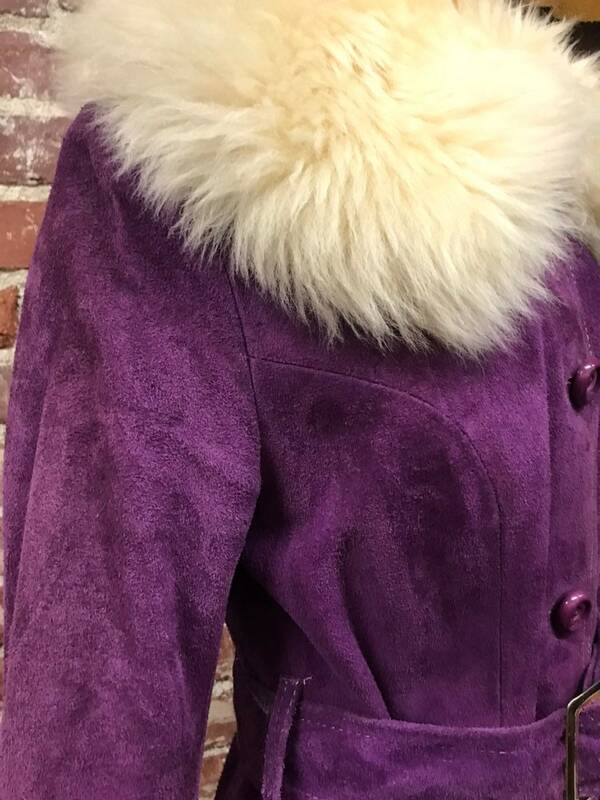 Fully lined in purple satin. 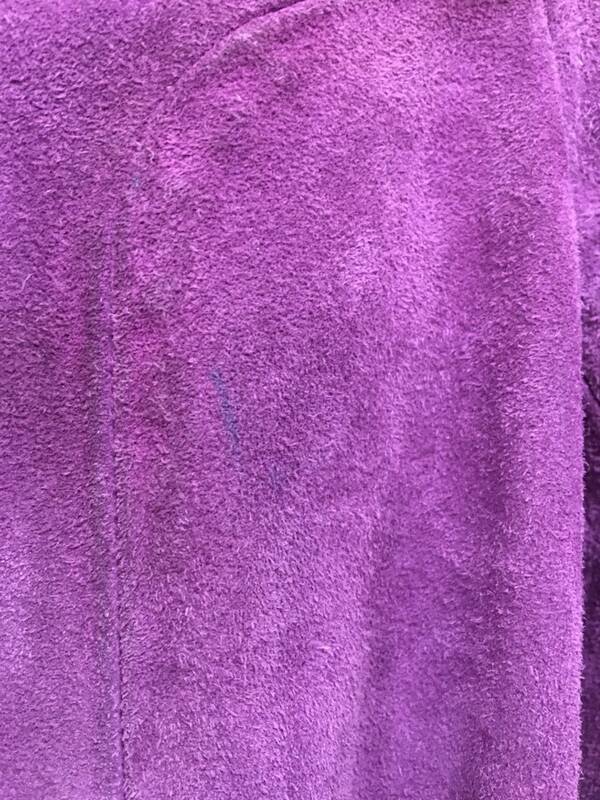 ***very faint mark on left side of bust line. 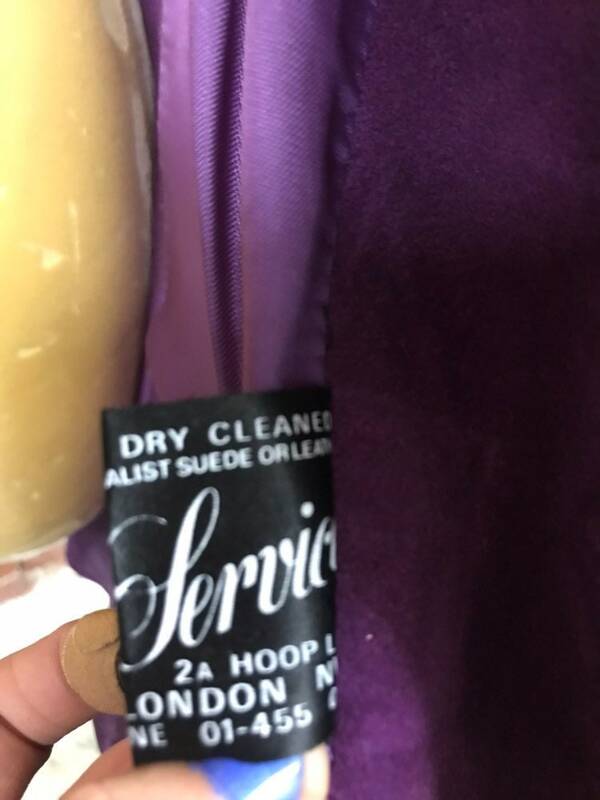 See last photo and the satin lining has pit stains. 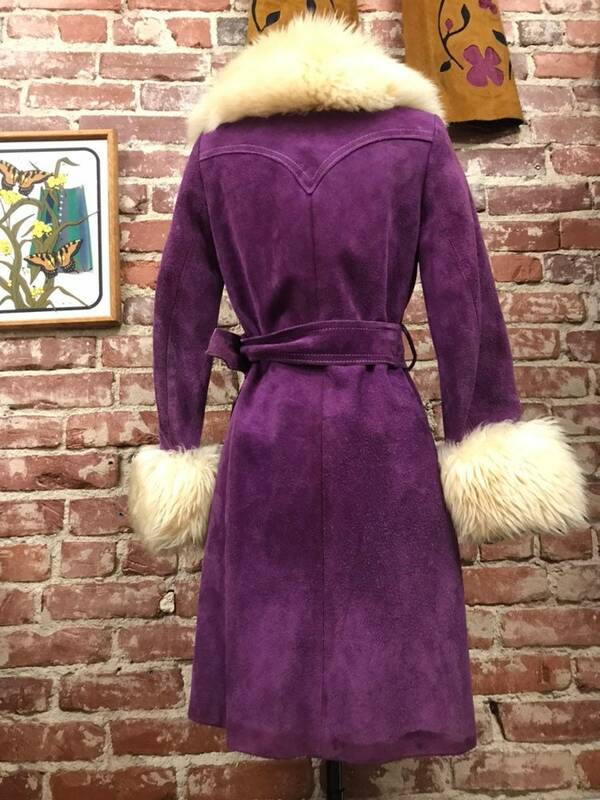 Will never show while wearing this incredible coat.